The words ‘social media crisis’ or ‘online issues management’ can conjure images of pitchforks, burning torches and mobs of angry villagers. It may sound like a scene from Game of Thrones, but with a little stretch of the imagination, it’s not difficult to see how the thick storm of a social media crisis/issue could feel like a chapter straight from George R. R. Martin’s bloody saga. 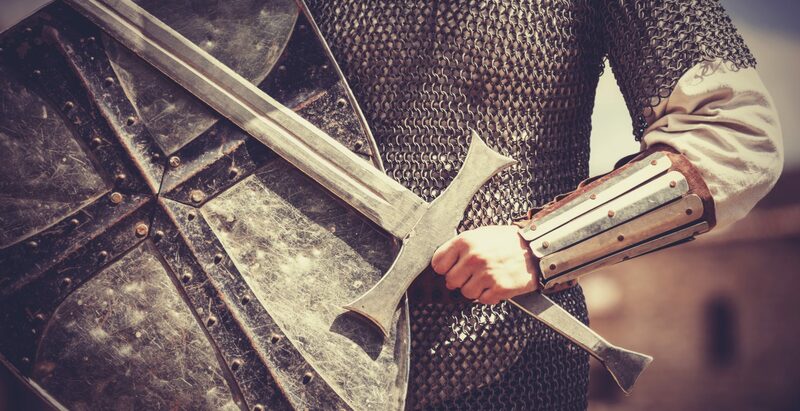 While social media has given consumers a platform to keep brands and corporates honest, it has also given them weapons powerful enough to destroy the strongest of reputations. The results can be ugly; a barrage of abusive comments splattered across Facebook and streams of tweets as thick as blood. Ask any marketer who has navigated through the sensitivities of Halal Certification uproar and it’s possible you’ll get a nod of agreement. But like all conflicts, there are strategies you can effectively employ to prevent issues from turning into crises, at the same time as minimising long-term risk to reputation (and employee sanity!). Ask yourself this question: If a major issue or crisis hit your company or brand tomorrow, would you be ready to handle the floods of fiery comments? A tried and tested escalation plan? Community compliance rules that are clear and accessible to your audience? Company policies and procedures, and any legal or regulatory constraints? Have you undertaken scenario planning and developed pre-approved Q&As? If you fail to plan, you’re planning to fail (disclaimer: this is probably our favourite quote at FORWARD). If you haven’t ticked the items listed above, it may be time to refresh your internal social media processes and procedures. Picture this: Your community manager has reported an influx of complaints made via the Facebook page about one of your products. The comments are coming through thick and fast, and you’re given the option to post a generic holding statement via Facebook. Would you consider this the best course of action? There is definitely a time and a place for a broadcasted message, but when it comes to dealing with disgruntled customers, a more individualised approach can be more effective. UK telco O2 faced a similar problem when, during a massive network outage, O2’s Twitter account became inundated with tweets from angry customers. Instead of issuing a generic statement, the company made the decision to respond directly to disgruntled customers with authentic, personalised comments. Their individual-centric approach received mass support from O2 customers, turning a negative crisis into a positive brand experience. Now is not the time for corporate jargon, wishy-washy statements or half-hearted responses. If you have a position or particular viewpoint on an issue – i.e. your company agrees with halal certification – it must be stated clearly and communicated authentically with the utmost respect to those with opposing opinions. Vegemite demonstrated this well when recently confronted by the nasty war over Halal Certification – an issue that saw dairy manufactures, The Fleurieu Milk and Yoghurt Company, pressured by consumers to drop certification resulting in the termination of a $50K Emirates contract. VEGEMITE is proud to be a spread for all Aussies. Thats why we’re Kosher & Halal certified, as well as suitable for vegetarians. While we enjoy a bit of banter as much as the next breakfast spread, anyone who insists on posting comments of hate, religious vilification or unwarranted grumpiness will be removed from our social media pages. So, no matter how you spread your Vegemite, remember – we’re just here to #SpredTheLove. This respectful yet firm response ensured Australia’s most beloved breakfast food did not bow to pressures that were against their corporate philosophy. As tempting as it is to justify your reasoning and prove your competency, it’s near impossible to stir up support and empathy if you cannot first take responsibility for your mistakes. There are countless examples of brands that have owned their mistakes, and gone on to turn their situation into a positive. The company’s social media director subsequently followed with a humorous tweet, acknowledging the mistake. Although the mistake was one individual’s, Red Cross took responsibility as a company. Their quick thinking and instant acknowledgement of the tweet may have prevented more serious corporate embarrassment. In summary, try not to justify or act defensively – even if there is a legitimate excuse for the mistake, your audience need you to own-up before they can see your side of the story. It goes without saying that preparation, considered thought, and a fast response can be enough to quell the angry crowds when an issue arises via social. If you’re not already set-up to weather a social media storm, act now. Because if Game of Thrones has taught us anything, it’s that disaster can indeed strike when you least expect it. Yesterday I had the absolute pleasure of being in the audience of TEDx Sydney 2015 at the Opera House. It is the first time I have attended TEDx, and after years of watching amazing TED Talks on YouTube, the day did not disappoint. There were 19 incredible speakers and eight musical and entertainment acts that inspired and moved us. It was a full day and at the end, although we nearly all had TEDxhaustion (thanks, Julian Morrow), it was a truly inspiring, educational, challenging and entertaining day. I’ve heard it said that your mind is like a parachute and that it only works when it is open. Well, TEDx Sydney 2015 opened my mind, made me think and challenged my beliefs about what is possible for my life, our future and the future of humanity. My big four takeaways of the day clustered content from different speakers that really moved and inspired me. 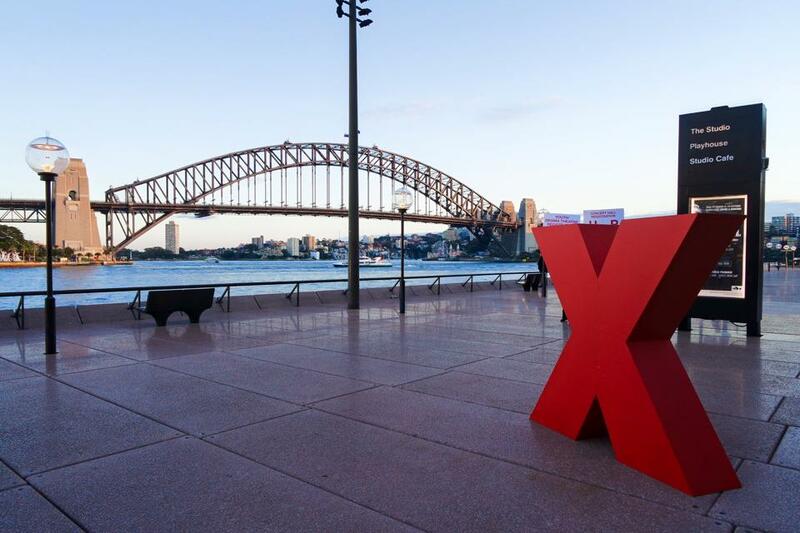 TEDx Sydney 2015 was book ended by two incredible speakers, Charlie Teo and Nadine Champion. Charlie Teo is an Australian neurosurgeon who is a world leader in some of the most difficult and innovative keyhole techniques that saves the lives of people with brain cancer. Charlie spoke about being shunned by the medical fraternity and, despite this, pushing forward to conduct surgeries with incredibly slim chances of success, based in some part, on the hope of his patients and their families. In particular, he talked about quality of life and importance of the patient’s self-determination. He reminded us that while there is still life there is hope and where there is still hope there is still a chance that things can change for the better. Nadine Champion is literally a champion (and apparently she hasn’t changed her name). She is a martial arts sensei and undefeated fighter. Through her talk, we followed her journey of growth to become a champion fighter by changing her thinking, confronting her fears, tapping into depths of courage and not turning away from pain. What we didn’t know is that she is also a recent Non-Hodgkin lymphoma cancer survivor. It took all of her martial training to get her through her chemo and conquer the disease. She finished her inspirational talk with a demonstration of breaking a board of wood with her bare hand, the first time since the cancer. Inspirational, and not a dry eye in the house. A consistent theme of the day was the fragility and interconnectivity of the ecosystems of our planet, and the negative impact humanity is having on it. But there were also some great ideas on how we can change things for the better by thinking and acting differently. Daniel Pauly, a marine biologist, shared some very compelling and frankly damning statistics about legal and illegal industrial fishing of our oceans. He provided a graphic warning to Australia that if we don’t think beyond our coastline and start protecting this great resource we may end up a great desert in our oceans with no life at all. Hamish Skermer also known as “MC Faeces” is an Australian who has invented a compost toilet that is an environmentally friendly dry toilet that turns human waste into something useful – compost. He was entertaining, but at the same time brought home a serious message: We need change our perception about “number twos” and think of it as a resource. Unexpectedly for me, the highlight of the day was Susan Butler, the editor of the Macquarie Dictionary. She handles the selection and writing of new words. Far from being a nerdish job, Susan says she brings out “a mop and bucket” each year to pick up the genuinely new words left behind “after the party” and toss out the rubbish. Susan convinced us that the dictionary was not an anachronism in a digital world. Far from it. It still has relevance and by not being constrained to physical number of pages, new words and usages of words are not limited. Who knew charityf**k was an actual word? Apparently it is. So is dadbod. The people have spoken. One of my most important takeaways from TEDx Sydney 2015 was that for our world to change, each of us has a role to play in affecting that change. Whether it is how we think, how we behave or what we will no longer tolerate. We cannot be passengers. From how we consume and what we waste, to what we create or what we demand from our governments and legal systems – we, the people, have the power to change the world. Barrister Julian Burnside (a Living National Treasure) gave an incredible talk about the importance of justice and fairness and how he came to work in the field of human rights. His message was clear: Stand up for justice. Stand up for fairness. Needless to say, he got a standing ovation. I could not possibly attempt to provide a review of the entire day or provide a review of each speaker. It was truly inspirational. I’d highly recommend going and watching the video of the event. Who knows, perhaps your parachute may open too! If you have the opportunity to attend TEDx next year I’d highly recommend it. Also check out this video: Archaics Anonymous – In the Thicket one of the several great video presentations of the day.